Marya Schechtman is a Professor of Philosophy, a member of the Laboratory of Integrative Neuroscience, and an Associate Dean in the College of Liberal Arts and Sciences. She received her PhD in philosophy from Harvard in 1988. Her main areas of interest are personal identity, practical reasoning, and bioethics. Her first book, The Constitution of Selves (Cornell 1996), argues that contemporary metaphysical discussions of personal identity over time fail to distinguish between two distinct but related questions, one having to do with re-identifying persons and the other with determining the essential features of character, value, and commitment that make a person who she is. In this book, she develops a narrative account of personal identity. Her most recent book, Staying Alive: Personal Identity, Practical Concerns, and the Unity of a Life (Oxford 2014) broadens her inquiry into the connections between metaphysical and practical questions of personal identity. In this work, she develops an anthropological account of personal identity that serves as an alternative to, and bridge between, traditional psychological and biological accounts. 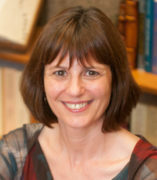 Professor Schechtman has lectured on topics in personal identity, the theory of autonomy, and bioethics around the word, and has published several articles on these topics including "Personhood and Personal Identity" (1990), "Stories, Lives, and Basic Survival: A defense and refinement of the narrative view" (2007), “The Story of My (Second) Life: Narrative and Personal Identity Online” (2012), “Philosophical Reflections on Narrative and Deep Brain Stimulation” (2010), and “Loving Eyes of my Own: Love, Particularity and Necessity” (2017).